Gameplay: This is a first person point and click game. The main menu has new game, load, save, return, options, control, credits and exit game selections. Access of the main menu from the gameplay screen is by pressing the ESC key. To save a game, select an empty box and then confirm the save done. The saved game can be overwritten. There are unlimited saved game slots. They are found in My Documents, Games and title of the game folder. The options menu has display options, video settings, audio menu and preferences. The video options are resolution, color depth, vertical synchronization, antialiasing, anisotropy and gamma selections. The graphics setting selections are graphical detail, texture quality, mapping quality, water quality, water reflection, shadows, depth and bloom. The sound setup has master volume, voice, music, effects and ambiance volume selections. The game setup has subtitles, mouse sensitivity, camera sensitivity, invert camera and aim selections. The control menu is where you can configure the keys. To move the characters, click-hold the mouse and point it to where you want to go. To interact, left click on characters or items. Right click to access inventory, archives, dialogues, documents, notes and map. Right click or toggle it to close the opened pages. Check the manual installed with the game. Double click makes the character run. July 14, 1895: A walking tour of Glentworth St, Melcombe St and 221b Baker St. is seen. Sherlock Holmes and Doctor Watson discuss the news about the French cat burglar, Arsene Lupin. A cat burglar has gotten Dr. Watson's tongue. Take the letter from the tray. It is from Arsene Lupin; issuing a challenge to the famous Sherlock Holmes who has French ancestry. He left clues for tonight's target. Review the clues in documents. Barnes Bookstore: Exit the apartment and go down to Baker St. Go left, right to Melcombe St. and left to Glentworth St. Enter the first door on the left. Look for Barnes. It seems like Barnes has let his store become messy. At the back of the store, he is reading-practicing the forbidden book seen on Holmes' previous adventure - The Awakened. (That's a no-no, Barnes.) Talk to Barnes. Go to the rightmost group of bookcases. Pick up The Great English Seamen book at bottom shelf at right. Read the book in documents. Take note of the painting and read about Horatio Nelson. He had one arm amputated and lost the sight of one eye as stated by the clue. Go back to Baker St. using the jump to map or walk there. Baker St: Talk to Holmes by the fireplace. Quiz: Who is Arseno Lotinho? Select the letters that form: Horatio Nelson. Use the space icon at right to make a space and use the arrow to back space in case of error. Then click the check icon when done. Horatio Nelson's Column is at Trafalgar Square. And sitting by his feet means the location is close by. Where is the theft to be done? Go to the desk left of the door and pick up the red book, Map of London. Right click to bring up the gameplay menu. Select the map and then select the map of London on the left. Select the center square area and click to see the map of that area. Click on Trafalgar Square at bottom left of the map. See that the National Gallery of Painting is located there. Hansom: Go down to the street and talk to Lamb, the hansom driver. What is to be stolen? Entrance: Pan right and talk to Palinor, the apprentice-archivist about the Director and Ledger. Sir Poynter, the Director is talking to an insistent artist. Palinor lost the ledger. Missing ledger: Get a blueprint (map) of the Museum. 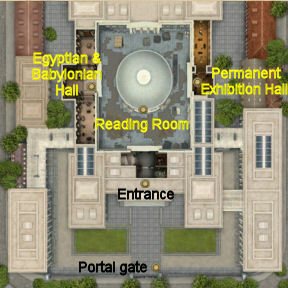 Check the in game menu and study the map of the Museum. You can use the jump to on the map or walk there to familiarize yourself with the museum. Go up the main stairs and then the left stairs. Go forward to the Spanish Gallery. Go forward to the French Painters Gallery. Go to the chair by the entryway to the English Gallery. Take the blue register-ledger from the floor beside the chair. Go back to Palinor and give him the ledger. Talk to him. Holmes asks about any painting concerning the Battle of Trafalgar. Quiz: What does the painting based on the Battle of Trafalgar depict? Look at or remember the painting in the book from Barnes bookstore above the name of Horatio Nelson. Click on the letters that form: ship or boat. Click on the check mark. The Fighting Temeraire by Turner: Take note of the information that matched the clues in Lupin's poem: It was the ship of Admiral Nelson at Battle of Trafalgar, it has a French name and Victory is the flagship of Admiral Nelson. This is the symbol of English victory over the French fleet. English Gallery: Jump to or go up the stairs, take the left stairs and go forward pass the Spanish and French Gallery. Go to the English gallery. Look close and click at the painting that is second from the last on the left wall. Museum Director's Office: Go back to the landing by the main stairs. Enter the door on the right at top of landing. Horace Velmont, the French artist leaves. Watch the conversation in front of the painting. Play as Inspector Lestrade: Check the museum. At the entrance, go to the crates at left. Look around and see a big unlocked crate and small boxes. Check the main door. Go up the stairs, take the right stairs and then left. Open the first door at right to see a dark storage room. Go to through the left door to the Restoration room. Look up and see the glass roof. Click on glass roof. Exit the room and go through the Italian Gallery, Flemish Gallery, Dutch Gallery and the octagonal English Gallery. Go left to the other English Gallery and to the door at the French Gallery. Click on the wood door. Go left through the Spanish Gallery and left to the German Gallery. Go to the Director's Office and talk to him. Watch the instructions by Inspector Lestrade. Watch the burglary. The toy train by the painting, the toy balloon at Restoration room and Lupin. Holmes and Watson's presence are required immediately. The game is afoot! 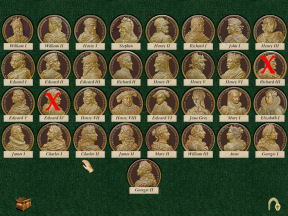 Play as Watson: Go down and talk to Piers Urquhart Alenn, a journalist. He gives his calling card. Click on the hansom. Play as Holmes: Back at the Gallery, talk to Lestrade completely. The painting was stolen. Various paintings were placed in the Director's office and replaced by the French artist's painting. There were 2 men, one already inside and one came through the roof. They both left through the roof. Entrance: Look at the combination lock of the crate left of the entrance. Footprints: Go to the right side of the assistant's stand. Look on the floor in front of the crown jewel painting and study the footprints. Stairs: Follow the footsteps to the main stairs. Footprints: Look at footprints on right side of the stairs. Use the magnifying glass on all 4 footprints: one is pressed and one is light. Measure the footprints by using the tape on the one end of the footprint to the other end. It is size 10. Follow the footprints to the right side stairs and to the Restoration room. Restoration room: Enter the Restoration room. Footprints1: Check the footprint before the paint spill. Use the magnifying glass and then the measuring tape. They are size 10 common work boots. Holmes looks at the glass roof. Footprints2: Look close at the footprints after the paint spill. Use the magnifying glass and then the measuring tape. They are French shoes and are size 9. Look at the rug on the floor to catch someone jumping from the skylight. Look around and see water pitcher and restoration tools on the 2 tables. Galleries: Go to the different galleries and see the paintings that have replaced the original masterpieces. What horrors! Take the time to check everything in all galleries. This will familiarize you to the clues given by Lupin. Italian Gallery: See red lines on the floor. English Gallery: Go to the original place where the Fighting Temeraire was hung. Examine the floor below the missing painting wall. Use the magnifying lens on all 4 rubber marks on the floor. A trace of black rubber. Look up at the ceiling and see a something strange. Holmes needs a ladder. Director's Office: Go to the Director's office. Outside the director's office: Go to the soil spilled by the broken potted plant. Footprints: Use the magnifying glass and then the measuring tape. They are French shoes and are that of the French painter Horace Velmont. They are size 9. Velmont is Lupin. Office: Go inside the office and talk to the director about the theft and Velmont. A guard (can be inside the office or just outside) informs Holmes that the ladder is now here. Exit the office and take the ladder to the missing painting's site and the rubber marks on the floor. English Gallery: Place the ladder where the rubber marks are found. Lupin's riddle: Climb up and take Lupin's letter. Read the riddle. The next target's clues are left all over the museum. Click the bottom of the ladder to go down. 4 Paintings: Based on the clues, Holmes states to look for 4 paintings. Go around and look for the paintings described in the riddle. Venus and Mars wrapped in White arrival's clue: Go to the Italian Gallery by walking or jump to using the map. Pan left of the double doors and look close Venus and Mars painted by Botticelli exhibited for the first time here in 1874. Tired Horseman with White Horse painted when clue: Go to the Flemish Gallery next to Italian Gallery. Look at the small painting at the corner left of German entrance, White Horse Standing by a Sleeping Man by Verbeek derived from a print in 1652 by Potter. Hendrick's Skaters and his age clue: Go to the Dutch Gallery. Look close at the circular painting second one of those on the wall, A Winter Scene near a Castle by Avercamp, 1585-1634. He lived for 49 years. Fish and cabbage, young boy and angel and year of purchase clue: Go to the German Gallery. Look close at the painting left of the entryway to the Flemish Gallery and see Tobias and the Archangel Raphael acquired 1894. Calculation of the numbers acquired: 1874 less 1652 = 222 x 49 = 10879 less 1894 = 8984. Entrance to Museum: Go to the entrance of the museum. Padlock: Go to the big crate right of the door. Enter 8984 on the padlock. Click on the button at right part of lock and Holmes will say 'open'. Pull back and click on the padlock or latch. Crate: Look inside the crate and see champagne, wig and cushion. Click the portrait of Napoleon done by Holmes' great uncle. Read the paper; the next clue that is automatically taken. Velmont's portrait: Jump to the French Gallery. Turn around and look at Velmont's self portrait second left of door. Click on the painting and Holmes says that it is oil base but fine coat of water paint. Director: Go to the director and ask about restoration. Restoration room: Go to Restoration room and pick up the pitcher of water and restoration tools from the 2 tables by the wall. Self portrait: Jump to French Gallery. Look close at the portrait. In inventory, use the brush on pitcher of water until the pitcher disappears. Click-hold-wipe or click the wet brush on the shaded part of the portrait. Then use the sponge to uncover the new self portrait. Click on the paper in his pocket. It has the letter C.
Red surrounding the green clue: Jump to the octagonal English Gallery. Look close at the round green portrait of a face. Use the magnifying lens on the portrait. Move the lens to NE position and see a note. Click on the paper or frame. Read the note; letter O. Count 6 from northern air clue: The clue is here in this same gallery. Go to the wall right of this green painting; which would be the northern wall. Count off 6 sides of the room clockwise; including the entryways. Go to the other recessed wall at right with a what horrors painting. Look close at the lamp on the left. Click on lamp and get the next note. Read the note: letter R.
Somber corner under white cloth clue: Go to the dark storage room right of the restoration room. Go to the Director's office. Take the lamp on his desk. Go back to the storage room. Place the lamp on the table. Pan left and see a bucket with white cloth. Click on the cloth on the bucket twice. Automatically take and read the note: letter O. Take the lamp. Bouquet of lilies clue: Jump to Flemish Gallery. Go to the painting of the director sleeping at north wall. Click and automatically turn it counterclockwise (younger) 90 degrees (quarter of an hour). See the letter N. Pick up the note that dropped on the floor. Great Uncle Horace Vernet clue: Jump to French Gallery. Go to east corner and see 2 paintings that are similar to each other. Now, look close to see which one is the fake. Click on both paintings until Holmes says they are identical. Use the magnifying lens on both. See that the painting on the left has a picture of Lupin standing on the balcony holding a painting that is on fire (or on the shore at bottom left in far view). Use the lamp on the left painting. See the letter I. Nice paintings with common theme clue: Go around the different galleries and pick up paintings with similar theme and colors. French Gallery: Take the painting 3rd from the entryway to the Spanish Gallery. English Gallery: Take the painting right of the ladder. Octagonal English Gallery: Take the painting from the wall between the 2 entryways. Dutch Gallery: Take the painting right of the entryway to the Flemish Gallery. Flemish Gallery: Take the painting second from right of the entryway to the Dutch Gallery. Take the painting right of the entryway to the German Gallery. German Gallery: Take the painting at end of left wall. Spanish Gallery: Take the painting at corner second from left of the entryway to the French Gallery. Italian Gallery: Take the painting second from right of the double doors. Painting puzzle: Click at the center of the floor with red lines at the Italian Gallery. Place the paintings on the frame at right to form a letter. 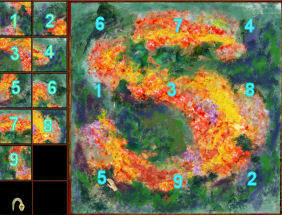 Form the letter S.
Each painting can be left click-hold, right click to turn and move to selected empty frame at right. What is to be stolen next? Director's Office: Go to Director's office and talk to director. Quiz: What word did Sherlock Homes find? Based on all the letters in each clue, type CORONIS. Click on the check mark. Painting: Holmes studies the 1617 painting of Apollo using an arrow to slay his lover, Coronis. Next clue: Watson brings the letter with the next clue. It states a black shadow and 6 more missing. Map: Look at Map of London. Click on the East (EC) area. Click on the closer view of the map at The Tower of London at bottom right. Entrance to Tower of London: Holmes talks to the warder. Graffiti: The Tower warder states to not deface the wall. Go close to the entrance and turn right. Look at and study the graffiti etched on the walls that was done by prisoners during the 1800's. Chief Warder Smith: Talk to Chief Warder. The ravens were replaced. The legend states that the removal of the Tower of London's ravens means the downfall of kingdom. The black envelope contained the Tower's clues. Get a lantern and map of the Tower of London. Go to the left side of the green and see seed husks on the lawn. That is the way the birds were lured. Chase 6 birds: Study the map of the Tower of London and note that you are standing to the right of the green lawn. Listen and note the bird sounds seen during the check of the different areas. Tower Green (White Tower): Go forward to the White Tower and trees ahead. Hear a bird up the tree. Look up at the left tree. Holmes has to attract it. The gray bird flies to the right tree. A feather dropped down. Go to right tree and pick up the feather on the ground. It is dyed black. Map: Look around the area first. From the ladder of the White Tower go right and around the perimeter close to the buildings. The different places and several jump points will be entered in the map. Scaffold site: Hear cracks alternating with smooth notes coming from shrubs. We will check it later. Storeroom: Go forward and check the place with sacks. Look at the ground in front of the storeroom's wooden door. Flour footprints: Use the magnifying lens and measuring tape on the footprints. They are that of Lupin's and size 9. The Chief Warder arrives. Talk to him completely. Pitt, the cook placed a combination lock on the grill door of the cooler. The code to the combination lock is based on the ancestor of the cook. The key to the cook's flat is given and the storeroom is unlocked. Cook's flat: Enter the blue door with private lodging plaque right of the storeroom. Use the key on the door at right. Look around and take the Cook's menu from July 17-19 from the table. Read the letter from the cook's Gran Nudra that mentions about a trace of the ancestor's arrival at Tower of London. Look at the picture and note that it is of the Mac Adam's family. Jump to the entrance (Byward Tower). Graffiti: Study the Graffiti on the right wall again and look for Mac Adams. It is at bottom left of the graffiti. Using the magnifying lens, note that the date under Mac Adams is 21.8.1632. Storeroom: Jump back to the Storeroom. Enter the storeroom now that the Chief Warder opened it. Take a Faience blue plate from the hutch. Turn right and take string from the shelf. Take note of the red drops from the jar of tomatoes. Take the canvas bag under the shelves. Take sunflower seeds from pail on the floor at middle aisle. Look at the boxes on the free standing shelves with stamp of Royal Coat of Arms. Grill door: Go to the grilled door at the back of the room. Look close at the padlock. Based on the clues from the cook's room and the graffiti, enter 2181632. Click on button at right part of lock. Enter the cold room. Turn right and go to the stone shelf behind the hanging carcasses. Open the covered jar and see a black chicken and a note. Take the illegible piece of message. Exit the Storeroom. Dormitory (Queen's House): Let us continue our check of the area. Turn right from the storeroom and go around to the far blue door. Enter the dormitory. Look around. Take the dirty blue sox from the second bed. Note an old flash camera on the bed stand of the third cubicle. Read-take the red book from top bookshelf at end of the room. Take note that the Blue Bird of Paradise has a blue color obsession. Take note of the bird prints. Exit the dormitory, go right, down the stairs by the wall and under the archway. Go right and forward to another archway. Go right, forward and left to the first set of stairs on the left wall. Weapons room (St Thomas Tower): Climb up the stairs. Enter the weapons room. Look around. Take the blue box of munitions from the table. Note the armors, the shields with coat of arms, net and cannon around the room. Take the telescope from navy table at far wall. Take coal from fireplace. Take note of the bird call tray at center of the room. There is an impressive collection of weapons right of fireplace. Bird in tree by White Tower: Jump to White Tower. Use the telescope taken from weapon room on the gray bird at top of the right tree. Look at the book taken from the dormitory in documents. Identify it as a Rock Partridge, a cousin to the Corsican red legged partridge. Their habitat is the Sardinian forests. Jump to the weapon room and take the female wood partridge bird call from Sardinia at top left. Jump to the White Tower and go to the right tree. Use the female wood (grey) partridge bird call on the Rock Partridge up the tree. Take the illegible piece of message. Bird by shrubs at Scaffold site: Jump to Scaffold site. Look close at prints on the stone path very close to the shrub. Meet a guard and learn about the black bird that took his tobacco with bright blue pack. Look close at the tracks using the magnifying lens. Study the book taken from the dormitory in documents and identify it as a Blue Bird of Paradise. Place the dirty blue sock, blue munitions box and blue plate on the ground by the shrub. Use the canvas bag on the bird. Take the illegible piece of message. 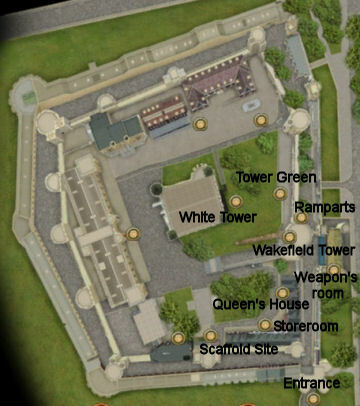 Ramparts by Wakefield Tower: Jump to Tower Green, turn left and go to the brown wood door at the corner of the wall. Hear a bird. Open the brown door and climb up to the top passing the locked Jewel House room. Exit through the brown door to the rampart. Turn around and see a bird on the roof. It's trying to say something. Wakefield Tower Dungeon: Go down the stairs passing 2 doors and down to the ornate door at the end of the stairs. Chief Warder Smith opens the dungeon. Plaque and coat of arms: Look around. Click on the brown plaque with Latin inscription and unidentified shield. There are 6 heraldic shields on the wall. Under each heraldic shield is a nook for something. Take a look at the hole on the wall left of the plaque. The screech is heard from the room behind the wall. Latin inscription: Use the coal taken from the weapon's room fireplace on the plaque. Chief Warder Smith recognizes the shield above the Latin inscriptions and mentions Brigadier Metcalf. Look close at the shield on the plaque and see that it has 3 crowns. Jump to weapons room and go close to the shields on the wall. Click to take the 3 crowns in blue shield. You might need to be at a correct position to do so. Jump to Queen's House and talk to Metcalf standing right of the Dormitory door. The shield taken from the weapons room is the coat of arms of the Round Table. Jump back to Wakefield Tower. Holmes asks Watson to get a book about the shields on the Knights of the Round Table. Barnes Book Store: Go forward to the door. Find out that Barnes is not home. Talk to Piers the journalist. Watson promises a scoop. Golden Lion Pub: Piers clears Watson's entry to the pub. Talk to the bartender and then talk to the drunken customer. Try to open the door right of the bar. Uh Oh! Go towards the other door. Talk to the crying woman that came out of the left door. She needs a fix. Baker St: Enter the apartment. Holmes bedroom: Enter the room right of the fireplace. Look around and search the room. Go to right side of the bed and click on the knob of the right top bedpost. Take Sherlock's vial. Golden Lion Pub: Jump to and enter the pub. Give the woman Sherlock's vial. Enter the back room (right of bar). See a turtle race going on. Tracy, #1 turtle won. Talk to Barnes who lost his money on Ginger, #2 turtle. He needs money to pay off the debt. Watch the sinister character and Piers talk. The goon will accept jewelry or something similar. Baker St: Jump to and enter apartment. Search Holmes bedroom again. Go to the bookcase-writing table at the corner. Open the box. Scandal in Bohemia is Holmes first adventure. See a picture of Irene Adler, possibly Holmes love. Take the Order of the Legion Honor medal. Golden Lion Pub: Jump to and enter the pub. Enter the backroom. Automatically, give the medal. Go to middle book alcove in the backroom. Use the London map, East side area and jump to Tower of London. 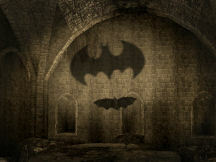 Wakefield Tower Dungeon: Holmes translated the Latin Inscription of the plaque. Knights of the Round Table coat of Arms puzzle: Study Holmes translation in Documents. Identify all the coat of arms on the wall using the book. Pick up the weapon of each knight from the weapon's room rack. Jump to Weapon's room and talk to the guard. Click each spear on the rack right of the fireplace. You can take only one weapon at a time. He identifies all of them (left to right): man catcher, Lucerne hammer, halberd, gisarme (resemble a porchard), partisan, bardiche, crow's beak and spear (glaive). Go to the suit of armors on the other wall. Click on the weapon held by the left suit of armor; it is a morning star. The right suit of armor holds a sword. 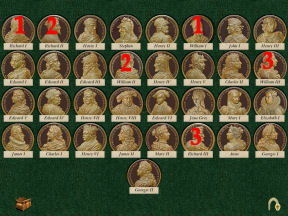 Place the weapons in the order shown by the translated plaque under the identified coat of arms at the Wakefield Tower. In the order deduced: pick one weapon, jump to Wakefield Tower, place the weapon on the slot and go back for the next one. Elementary! Bird in the secret room: Go through the entryway. See that it is a bat. It needs to be stunned. Jump to the Queen's House. Enter the dormitory. Take the flash camera on the table beside the third bed. Jump to Wakefield Tower. Use the camera on the bat. Give it to Sergeant Wayne! Take the illegible piece of message. Bird on the rampart: Jump to the ramparts. Click the sunflower seeds taken from the storeroom on the parrot on the roof. Your name: She played you a trick... German bird or eagle, one and the same. Quiz: What is the name of the parrot? Type in Irene Adler. Click on check mark. White Tower: It is now dawn. Look up to the bird on the window of the White Tower. Use the telescope to identify the bird. It is a lammergeier. Hahahahah! What a story! Play as Watson: Use the London map. Open the west area map and click on top left - Baker St. Go up to the apartment. Hunt for sovereigns: Find at least 10 sovereigns. Go to right side of the desk left of the door. Crouch down (Ctrl key) and take coin from 4th drawer. Go to the left side of the desk left of the door. Take coin from third drawer. Go to small drawers at left corner. Take coin from second drawer right side. Go to work table. Take coin from under microscope. Go to fireplace: Take coin from under mug at left mantle. Look down on table left of fireplace. Take coin from under paper. Go to the coat rack on wall right of door. Take coin from middle hook. Go to right side table. Take coin from under the small cup right of lamp. Go to dressing table. Take coin from bottom drawer under the wig. Go to book case at corner. Take coin from under 4th book from left. Go to left side table. Take coin from drawer. Golden Lion Pub: Jump to and enter the pub. Enter the backroom. Talk to the man and give him 10 sovereigns. Take Ginger, competition turtle #2. Tracy is not for sale. Jump to Tower of London. Play as Holmes: He wants a net. Net puzzle: Jump to weapons room. Try to take the net at the back wall. Use the string taken from the storeroom on the net. Click on the corner or intersecting points where the string should be placed to make a good weave. Bird at White Tower: Watson comes back with the turtle. Jump to White Tower. Place the turtle on the brown twigs on the brick path. Ginger will never forgive me. Of course, of course! Use the fishing net on the bird. Automatically get the last note. Baker St.: Use the 6 illegible pieces of message on the lamp at Holmes' worktable and get Six Birds Poem. National Gallery: Jump to National Gallery using the middle area of the London map. Talk to the Gallery Director. 4 paintings of St Catherine mentioned in the Six Birds poem: Look for 4 paintings of St. Catherine all over the gallery. Raphael - Jump to Italian Gallery. Click on St. Catherine of Alexandria by Raphael, second on the left of the entryway to the next gallery. Solario - Click on St. Catherine of Alexandria by Solario right of the wood door at Italian Gallery. Crivelli - Click on the small painting of St. Catherine of Alexandria by Crivelli, third right of the entryway to the next gallery. Lochner - Jump to German Gallery. Click on St. Catherine of Alexandria by Lochner second to last on the south wall. Holmes says to go back to Baker St. Open the west area of the London map. Jump to Baker St. at top left. Play as Watson: Watson got money from the bank. Golden Lion Pub: Enter the pub and the back room. It is closed. Talk to the bartender and drunken man. Exit the pub. Talk to Piers waiting outside the pub. Piers will recover the medal using Watson's money. Go back to Baker St.
Quiz: To which treaty does the "Six Birds" poem refer? Type in Alexandria. Click on check mark. Barnes Book Store: Jump to the bookstore. Get the book on the wall facing the left bookcases with the candelabra on the table. Read about the Rosetta Stone used by Champollion to decode hieroglyphs. The stone is now at the British Museum. Talk to the Constable Rufles. Listen to the message. Go up to the apartment. Enter Watson's room. Use the central area of the London map. Jump to the British Museum at top left of the map. Listen to the discussion of the Prime Minister and Holmes. Lestrade gives a map of the museum. Entrance to Museum: Enter the museum. Meet Barncow, the librarian (guard) with the architect beside him. Egyptian and Babylonian Halls: See the Rosetta Stone. Inner Courtyard: Talk to Lestrade at the inner courtyard by the entrance building. Get there by exiting the Hall and go right to the next entryway. The police are now in place. Play as Watson: Watson is hungry. Lestrade says to ask the guards outside if there's any leftover from the mess. Outside gate-portal: Jump to or go forward inside the entrance building and go out through the double doors. Talk to any of the guard. There may be a bun or two in the bread bag by the portal. Turn left and forward to or jump to the outside grilled gate. Check the bag on the ground beside a trash can. Talk to Piers, the journalist. Piers is calling in his markers. The thing is to find the key to open the gate and get the guards out of the way. Maintenance room - Go inside the building. Take the hammer from the table. Library (Reading Room): Enter the building at the center of the inner courtyard. Talk to Barncow about the keys, curator and office. Curator's (Director) office: Go to the entrance building and enter the room on the left. Desk: Check the desk and take the paper with red and blue doodling. It has a red 15, red clockwise arrow and a blue counterclockwise arrow. Safe: Go to the safe. Central dial - The central dial has red and blue colored numbers. Based on the Curator's paper, move the central dial's red arrow to red 15. This action points the green arrows to: blue 75, red 45, blue 30 and red 30. 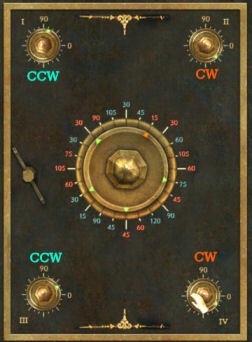 Corner dials - Pull back resets the puzzle. See that the safe has 4 dials at each corner and has 0 and 90 marks. The 0 and 90 marks show the degree of the angle of the dial's markings. Each of the lines is a 15 degree mark. The paper showed that red is to be clockwise and the blue is to be counterclockwise. I - Right click to turn the dial counterclockwise to 75 (5th line above zero). II - Left click to turn the dial clockwise to 45 (3rd line below zero). III - Right click to turn the dial counterclockwise to 30 (second line above zero). IV - Left click to turn the dial clockwise to 30 (second line below zero). Safe opens. Take the key. The architect arrives and talks about his worries. He mentions that one lion's base at the entrance is crumbling. Lion at entrance to stairs: Exit the office and go across the lobby to the stairs. Get guards out of the way: Check the lion's base at right. Use the hammer taken from the maintenance room on the top of the crumbling pedestal. Go outside and talk to the guard about the lion. Go to the gate and give Piers the key now that the guards are gone. Go back inside the building and meet Holmes and Lestrade. Listen to the preparation done by Lestrade. The architect arrives stating that the iron bars were removed. Talk to architect. Maintenance room: At the maintenance room, look around. Talk to architect. Note by use of eye icon that a rope from the table, one of the pulleys from the wall and a soap bar are missing. Inner courtyard: Go outside, right to the pit and canvas covered bricks. Look close and note that tarpaulin is gone from the middle pile of bricks. Go to the top left side of the courtyard and enter the shed. Look and see that 2 bags of cement were taken. Curator's office: Talk to the architect and ask about the missing objects. Barncow arrives and states that the rubble at the lion's base was removed. Lion's base: Go across to the crumbled lion's base. Look close at the footprint. Use the magnifying lens and measure the footprints. They are Lupin's. The architect explains how a pulley can be used with the missing items. The weight is based on the counter weight. So that is why the heavy rubble is gone. Inner courtyard: Hear Watson. Run outside and left. Watch the theft and the escape. Read the new clues thrown by Lupin. What is to be stolen next? Take the time to check everything in both halls. This will familiarize you to the clues given by Lupin. First Poem: Read the first clue about beasts at the entrance. Go to the entrance of the museum. Go to the lion fountain on the left of the double doors. Take and read the new message. Veronese Lovers: The clue mentions about the Englishman who wrote about Veronese lovers. Go to the reading room. Talk to Barncow completely and learn how to find a book in the library. Use the library's card catalogue: Look close at any one of the machines around the perimeter of the first level of the library. Type in a keyword and then press the handle on the right. The card catalogue will show the page, book, author and where to find the book by area, row and column. The areas are labeled by letters on signs that separate bookcases or on top of the shelves. Each level has 6 rows of books and there are 12 columns of books per area or letter. Second clue keyword: Type in either Romeo or Juliet. Pull the handle. It is at G-8-4. It is in row 8, so that is second floor. Go up the stairs. Go to Area G, to the 4th column of books and second from bottom row. Take the book and get a new clue. Bronze Door: The clue mentions a red copper or bronze door that leads to nowhere. Go to the Egyptian and Babylonian Hall. Turn right and go to the door at the end of the hall. Count off the 4th row from bottom. Count the men in that row = 41 soldiers. Count off from top down to 7th row. Count the horses on the left door = 9 horses x 4 = 36 legs. 41 x 36 = 1476. Thanks to this door, I should know which book to find. Jump to Reading room. Use the card catalogue. Enter 1476. Pull handle. Look for Hindu Enchantment at (D-14-7), at Area D, 2nd row at third level and column 7. Search through the different pages for a clue. Go to page 41 and 36 and see a statue of Kali. Jump to Permanent Exhibition Halls. Go left and look at the Indian statues on the table on the left. Move the middle statue and take the next clue. Three Brothers: The clue talks about 3 similar brothers. Go to the Egyptian and Babylonian Hall. Turn right and go to the left aisle. Look close at first stele showing the 3 figures of Bes holding swords. Use the lens on the right deity's right ear. See a plug under the ear. Click and automatically get the message. Drink or Run: You must choose. Jump to Reading room. Use the card catalogue. Enter Drink. Pull handle. Look for Drink or be Drunk at Area E, 6th row at second level and 3rd column. Read a note about a receptacle. Drink or be Drunk: Read the description of a receptacle with geese handles. Jump to Permanent Exhibition Halls. Go left and look at the vase at the end of the hall. Take the message under the left head of the geese. First paragraph: Read about 2 monkeys and a man. Go to the Egyptian and Babylonian Hall. Turn right and go to the right aisle. Look close at the last stele on right wall. See 2 men; one has 2 monkeys. Look close and trace an invisible line down to the third row from that fingernail. Then move cursor to 5th cuneiform to the right and then click. Holmes will copy the cuneiform. Decode the cuneiform by using the sidebar. Click on a letter at left and select the cuneiform you think it represents on the pop up menu. The letter will automatically replace the cuneiform on the message at right. 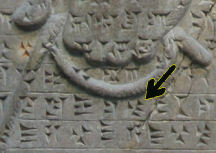 The last cuneiform in the picture below is Y. Second paragraph: Jump to the Reading room. Use the card catalogue. Enter sea rocks forest. Pull handle. Look for Nightmare in the Seas, Rocks and Forests by Oliver Lavisheart (80 Days) at Area C, 4th row and 5th column. Measure the books: Get (click-hold-drop) the 3 books (forest, rocks and sea on the title) and stack them on bottom shelf. Use the tape to measure from top to bottom. The 3 books are 17.20 cm in height. Third paragraph: The clue talks about a round picture good for eating; 2 young girls and an olive tree. Jump to Permanent Exhibition Hall. Go left and to the end. 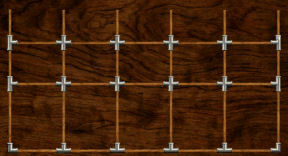 Face the plate displays and click on the shelf to get a zoom puzzle screen. Use the tape on the plate on top left (one elder woman, 2 young girls and olive tree). It is 52 cm in diameter. Fourth paragraph: Calculate using the measurements taken. 17.20 x 100 = 1720. 52 x10 = 520. 1720 minus 520 = 1200. Book: Jump to the Reading room. Use the card catalogue. Enter 1200. Pull handle. It is French Cuisine at Area J, 3rd row at second level and 3rd column. See illustrated pages. 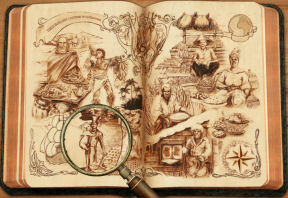 Use the lens to look for the next clue at middle bottom of left page. See Lupin holding a Koala. Click on the picture of Lupin. Koala: Jump to Permanent Exhibition Hall. Go left to the animal display on the right just behind the penguin on the floor. Click on the koala to get the next clue. Koala: Read a description of a fake jug with yellow, brown and black colors. Go to the left end of the Permanent Exhibition Hall and see jugs, vases and other potteries. Take the fifth from bottom left vase. Holmes breaks it. Vase puzzle - Put the pieces together. Click-hold-drop the pieces from left to the right working area. Right click to turn the pieces. Read the message printed on the vase. 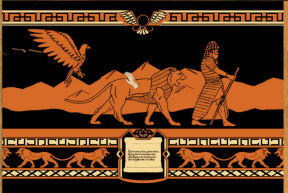 Shedu Poem: Read about bull, lion, guardian and demon. Jump to the Egyptian and Babylonian Hall. Go to the right Shedu statue just ahead to the side of the archway and behind the broken pieces of glass on the floor. Look close and take the next message between its clawed feet. Read the message about Kings. Kings' Message: Pull back resets the puzzle. Jump to the Permanent Exhibition Hall. Go to the first case at the middle of the hall. Look at the Medals. See a close up of the monarchs' commemorative medals. First paragraph: The youngest Henry is Henry VIII and half is IV. Then find Edward IV. Replace Edward IV with Richard III (IV less Charles I). Perfect, now on to the next step! Second paragraph: John I + James I + a Christian name + 3 = 6. 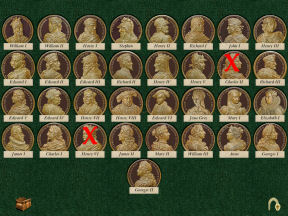 The Christian name that is common on the diagonal is Henry. Replace-exchange Henry VI with Charles II. Perfect, now on to the next step! Third paragraph: Replace-exchange the Richards with the Williams of the same number. 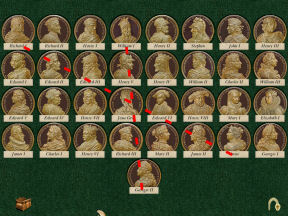 Exchange William I with Richard I, William II with Richard II and William III with Richard III. Perfect, now on to the next step! Fourth paragraph: Replace-exchange the fourth column medals with the 6th column medals (row 1 with row 1 medal on 4th and 6th column, row 2 with row 2 medal on 4th and 6th column and so on...). Perfect, now on to the next step! Fifth Paragraph: Think of an invisible line from William I (earliest monarch) with Georges II (latest). Then think of an invisible line between Anne with Richard I (the lion hearted). The medal that is intersected by those 2 invisible lines is Jane Grey medal. Get Jane Grey medal. Go to the Director's Office and talk to the architect. Go to the maintenance room and talk to Watson. Get the hammer. In inventory, combine (click-hold-drop) the Jane Grey medal and the hammer to get the next clue. Jump to the Egyptian and Babylonian Hall. Go left to the end of the right aisle. Look close at the Egyptian stela and use the lens. See a letter E. It is at the 8th row and 9th column. Jump to Reading room and look for the book in Area E, 2nd row at second level and 9th column next to the stairs. Talk to Barncow at the center of the room. He can't read music. He needs to listen to the music. Take the Stradivarius violin on the musical instrument case at the Permanent Exhibition Hall. Go back to Barncow and click the violin on him. Return, return , return... The title is Return by The Scarabs. Jump to the Egyptian and Babylonian Hall. Go left to giant stone scarab beetle at the end of the hall. Go to the front of the giant scarab beetle and take the message. Sun: The clue talks about sun and its court. First paragraph: Go to the Permanent Exhibition Hall. Look close at the solar system machine on the second table at the center of the hall. Second paragraph: Click on the solar system icon at bottom left and see all of the planets rotate around the sun. Click on a planet and then the planetary rotation icon at bottom left. See that planet alone rotate around the sun. Do this to all the planets and the moon to get the number of turns of each planet and the moon around the sun. Mercury (gray) = 6; Venus (pink) = 5; Earth (blue) = 3; Moon (little white one) = 13 + 3 (additional turns due to 2 way rotation) = 16; Mars (red) = 4; Jupiter (orange) = 2; Saturn (green) = 1. Third Paragraph: 6 + 5 + 3 + 16 + 4 + 2 + 1 = 37. Earth's rotation is 3. Square of 3 = 9 x 2 = 18. Fourth Paragraph: 37 x 18 = 666 + 1000 = 1666. Jump to the Reading room. Use the card catalogue. Enter 1666. Pull handle. Look for the book Necronomicon at Area I, 1st row at third level on the 12th column. Crouch down by clicking on the Ctrl key. Take the message. Read Lupin's letter to Holmes. He is to steal something that money can't buy from someone that is also his ally. Talk to Barncow, the one that whistles. See a picture of Queen Victoria. Apartment: Watson confesses and shows Piers' card to Holmes. Quiz: What clue does Piers' calling card reveal? Based on the name Piers U. Alenn, type in Arsene Lupin. Click on check mark. Holmes deduced that Lupin has a hideout around here. To find out information at The Golden Lion, Holmes wears a disguise. Exit the apartment. Street: To test the disguise, talk to the policeman, Sergeant Rufles. Hear about the robbery at Sir Grimble's house. The Golden Lion Pub: Enter the pub at the corner. Talk to barman, drunk and the woman. The woman says that he thinks that Piers has a room at Miss Fleming's. Miss Fleming's boarding house: Exit the pub and go right to the house with flowers at both sides of the entrance pass the boxes and crates. Check if there are occupants in the rooms: See sand or soil strewn all over the hall. Look close at the soil on the floor in front of each door. Use the magnifying lens and measuring tape on footprints seen. The right front door's footprints are that of a size 5 from a young girl. The left front door's footprints are from a size 9.5 work boots. The back right door's footprints are from a slaughterhouse worker with a size 8 feet. The rear left door footprints are size 9 but not from a workbooks. Left rear room: Open the door and talk to a masked man. "The barkeep said that the room was emptied an hour ago." The Golden Lion Pub: Go back to the pub and talk to the barman. Learn that his bouncer, Big Bruiser is a member of Luigi's gang that is looking for Rumpkin. Striped scarf and long knives are the identifying signs of Luigi's gang. Take the knife and bottle of wine from the end of the bar. Take the rag-cloth right of the woman at the bar. Go to the bouncer sleeping at the table. Look at the striped scarf on the table. It is soaked in wine. In inventory, combine bottle of wine with rag to get cloth soaked in wine. Use cloth soaked in wine on the scarf on the table to get colorful scarf. Miss Fleming's boarding house: Go back to the left rear room at the boarding house. Get rid of Rumpkin: In inventory, combine long knife and colorful scarf to get Luigi's mark. Use Luigi's mark on the door. Search the room: Pick up the paper by the door. It has X215 Mayet written on it,. Check the sacks left of the window. It is the loot. Pick up the pieces of painted wood behind the logs right of the fireplace. Baker St: Holmes talks to Watson about the robbery and loot. Pieces of painted wood puzzle: Place the pieces of painted wood on Holmes' work table. Connect the wood pieces. Click and drop the pieces in place. Place the sticks with 3 way connectors at the edges. Place the long horizontal sticks at the bottom layer and the shorter horizontal sticks on the next top 2 layers. A small cage is made. White Room: Go to the first door on the right. Talk to the Prime Minister. Her Majesty is in a miserable mood. Learn that Robilar, Leomunda's dog has the run of the palace. Watson is sent to do errands. Take the eyeglasses on the table in the White room. Exit the room. Kitchen: Go to the room across the hall from the White room. Talk to Chauncey. After the pep talk, learn about the doll house gift given to Leomunda, the Queen's companion. Robilar's breakfast: The maid arrives and states that Lord Robilar refuses his breakfast too. The rest of the meal was thrown in the trash. Learn that it has chocolate. Go to the table at the corner left of the white kitchen door. Take and read the Milord's meal - dog food recipe from the tray. Take the chocolate from the same tray as the recipe. Turn around and go to the cabinet at other end. Take the woodland strawberry jam and prepared mustard from the wall cabinet. Take the anchovy extract from the table below wall cabinet. Take the pickle tongs from the jar at left of the table. 1. Weigh the ingredients: 10%, woodland strawberry, 40% anchovy extract and 50% mustard. Go to the scale on the center table. Click on scale to automatically place all the collected ingredients on the table. a. Find out how much mustard makes 50%. Weigh anchovies in one pan and mustard on another until they are even. 4 anchovies = 3 mustard. Empty pans by taking item and right click on empty space. b. Find out the weight relation of strawberries and anchovies. Weigh strawberries in one pan and anchovies on another until they are even. So multiply the anchovies 4 times to get 4 times more than the strawberries (4:1). c. Weigh 50 % of 4:1 of anchovies : strawberries on one pan and add the mustard on the other pan until even. Solution: Place 16 anchovies and 6 strawberries on one pan and 15 mustards on the other pan. Place the correctly weighed anchovies, strawberries and mustard on the plate at right to get bowl of sauce. Elementary! 2. Add in reasonable quantities of the usual components. Find the usual components: Open the trash bin on the floor left of the pickle jar where Chauncey threw the old preparation of dog food. Use the magnifying lens on the left side of the trash bin. Need a better magnification to determine the composition of the mixture at left. Click the magnifying lens on the PM's eyeglasses. Use the combined lenses on the left side the trash bin. Click on large pieces (yellow and brown items) and they will be identified: sausages and bananas. Take sausages on the table left of the trash bin and bananas at center table. In inventory, add bananas, sausages and chocolate to the bowl of sauce to get dog food. Lady Leomunda and Lord Robilar: Exit the kitchen and go to the second door on the right. Knock on the door and see that both Lady Leomunda and Lord Robilar are not in the mood for company. Use the dog food on the door and Lord Robilar will smell it and you can enter the room. Talk to Lady Leomunda. Learn about the doll house and the missing 4 male dolls. There will be a handsome reward when they are found. Search for the 4 male dolls: Note that Robilar follows Holmes about in his investigation. The missing dolls have ginger hairs. White room: Go to the White Room and talk to the Prime Minister and Chauncey. Learn the reason for the change in attitude of Lord Robilar. It is due to the visit of the redheaded (ginger-haired) nephew of Leomunda. First doll: Exit the White room. Talk to the 2 guards by the door. Holmes gains the help of the 2 guards only after mentioning Leomunda's gratitude. Learn about the suit of armor. Hidden doll: Turn right and check out the suit of armor. Take the pike. Go to the left side of the base of the suit or armor's stand. See a hole. It's dark in the hole. Go to Leomunda's room and the doll house. Take a candle from inside the doll house. Go back to the hole. Use the candle on the hole at the base of the armor. The hole is deep. Use the pike on the hole-candle. See a doll. Now we need a hook. With the pike showing at top right of screen, go to the White room and talk to Chauncey. Learn about the bathtub pipes in Leomunda's room. It is plugged. Robilar was in the scene of that crime too. After the talk, get a clip. Go back to the hole. In inventory, combine the pike and the clip to get a twisted pike. Crouch down and use the twisted pike in the hole to get the first doll. Second doll: Go to the kitchen and talk to Deidre. Dirty snout: Learn about cleaning Robilar after seeing his snout full of soot at the White room. Go to White room's fireplace. Look close at the fireplace and see a doll at the side. Use the pickle tongs taken from the kitchen on the fireplace. Get the second doll. Third doll: Go to the kitchen and talk to Deidre. Clear Leomunda's pipes: Deidre cleans the second doll and leaves a bucket beside the barrel. Take bucket. Go to Leomunda's room and check out the basin behind the curtained cover. Use the bucket on the basin to get bucket of water. Look in the basin's hole. There is something here. Go back to the kitchen and empty the bucket of water in the barrel. All of Leomunda's bath water is in the barrel. Try to pick the barrel of water. It is far too heavy. Talk to the guards by the door. The barrel of water in the kitchen sink is poured in the sink to clear the pipes. Elementary. Go back to the basin in Leomunda's room. Take the third doll. Fourth doll: Talk to Leomunda about Robilar's behavior. Learn about the garment chest that has a security lock. Star puzzle: Look at the chest right of the bath basin. Holmes says to insert a star to unlock the mechanism. Turn around and look close at the picture of the King on the wall. Take the wooden star-crown from the painting. Use the wooden star on the chest. 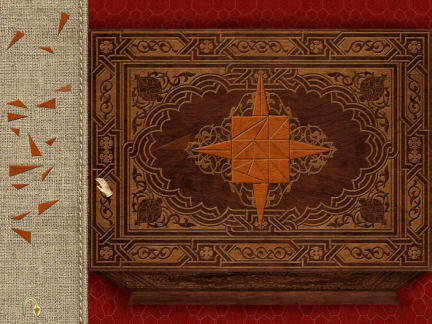 Assemble the pieces to form the star on the chest. The star mold-shape is under the ornate curlicue molding. That will be the guide to the correct wood to be placed. Click the wood and it will be automatically be placed over the chest. There are more wood than needed; so select the correct ones and place them on the mold or place all the wood and take off the ones that are out of place. Click on the improperly placed wood and they will be returned to the left side. The chest opens. Take the fourth doll. On the way to the White room to talk to the Prime Minister, look at-click on the wet spots on the carpet in front of the white room door. Talk to the Leomunda and then Chauncey. Learn about a wet gift that was given to the Queen. Talk to Leomunda about the gift and learn about it falling in the moat. Learn about being told by an antiquarian about the 'masterpiece'. The gift is a French Grandfather clock. Quiz: What name is Sherlock thinking of? The clue here is the paper taken from the boarding house. Select Mayet. Click on check mark. Watch the stealing of "something that money can't buy from someone that is also his ally". Cellar: Look around in the Queen's bedchamber. Turn around from the window and go to the candleholder on the wall left of the wardrobe. Pull the candleholder. Enter the wardrobe and go down to the cellar of the palace. Gifts storage room: Look around and check all the items collected as gifts to the royalty. Open the locked door: Check all the grilled door. See that the grilled door on left wall (between candles) is locked by Lupin. Check the organ between the 2 other grilled doors. The steel tubes are not damaged. Take the metal tubes on the left part of the organ. Take the rest of the metal tubes on the right part of the metal pipes. Place metal tubes on the slope on the floor. Place the other metal tubes in front of the elephant. Push the wooden elephant. See it roll to the grilled door. Go through the opened door. You and I, Lupin. Hunting trophy room: See Lupin exit through the far door. Check the second far grilled door where Lupin passed through. See that the lock is sophisticated. Look down and pick up the metal rods on the floor in front of the locked grilled door. Metal rods puzzle: Look close at the sophisticated lock. See the metal rods picked off the floor at bottom of the puzzle. The aim of the puzzle is to arrange the rods on the lock to form Roman numerals that will result in an answer that is the same for the top and the bottom mathematical processes. Highlight the selected rod. Arrange the rods by click-hold-drop rods in place. Right click to turn the rods. 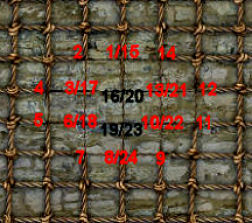 The rods are already arranged at the bottom by sets based on how many rods per number to place on the top puzzle. The solution to get is 81. XXII + VII + LII = C - XXIII + IV Open! Norman era room: Go down the hall. Head bop: Pull the lever left of the door to open the grilled door. Look around and see the trap door on the floor. Lupin must have gone through the closed trap door. Look around for things to get the trap door open. Go to the back wall and take the hanging piece of chain. Take the other hanging piece of chain. In inventory combine the 2 pieces of chains to get chain. Use chain on the teeth of Norman bow of a ship (looks like a wooden serpent's head). Look up at the ceiling. Use the chain on the hook on the ceiling above the trap door. Then use the chain on the top of the raised grill door. Now use the lever right of the open grilled door to drop the grill down. See the head above the trap door. Go to the end of the chain attached to the grilled door. Take it off to drop the head over the trap door. Yeehah! Go down the metal rungs. Costume room: There is no way back up and Holmes must find a way out. Look around. Take the bagpipes from the kilted mannequin on the right. Take the darts from the bag hanging on the side of the Tarzan costume. North American Indian room: Go to the next room. Totem pole: Look up and see a trap door in the ceiling. Look around the room for something to get us up there. Go around the room and pick up pieces of Indian totem. There are 2 pieces of totems by the teepee on the right wall. There is one piece of Indian totem on the left wall in front of the canoe. There is one piece of the Indian totem in front of the wooden horse. Look down at center of room and see footprints. Place the 4 pieces of Indian totem on the floor below the trap door. Arrange them in particular order. Climb up to the trap door. Game room: The grill door behind you is locked. Look around the room. Check out the puppet show booth. Click to push it aside. Mirror room: Enter the next room and look around. This is the room we saw while in the hunting trophy room. Mirror climb: Look up and see another trap door in the ceiling under the big broken mirror of the dresser at center of the room. The big broken mirror seesaws. Take the coffin (chest) by grilled door. Take the (glass wooden) crate by the entryway. 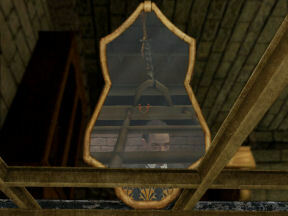 Take the only intact mirror in the room that is on the crate left of the grilled door to the hunting trophy room. Face the big broken mirror at center of room. Place the chest on the mirror and it will support the bottom of the mirror. Place the wooden crate on the bottom of the mirror and it will hold the mirror at that angle. Climb the mirror and see that it is a grate. Turn around and see that it has a hook to lock it. Turn around again and prop the mirror on the grate. Move the mirror to see how the rope-grate is attached. See a chain that holds the grate to the rope. In inventory, combine the bagpipe with the darts to get bagpipe with darts. Take the bagpipe with darts from inventory. Look at the mirror again and see a crosshair that is used to aim the darts and bagpipe. Aim on knot at top of the rope and fire. Open! Turn around and use the handle of the grate. Take and read Lupin's letter from the table. He will be at the place that first entered by wooden walls and then stone walls. Baker St.: The Prime Minister is in Baker St. The Prime Minister asks Watson where the last theft site will be. Select the east side of Map of London. Then click on Tower of London. The Prime Minister says that is already a place that has had a theft. He then agrees to Watson's deduction of the last riddle - Big Ben. Holmes stays behind from the party going to Watson's deduced place. There are matches in inventory. Byward Tower (Entrance): Go forward. See the 3 watchers inside Big Ben counting their glories to come. Schick: Go through the gate and see a fallen warder. He was given a sedative. Go close and take the cartridges beside the sleeping warder. Click on him again and find out that his name is Schick and has a thick moustache. He must not use a razor. Check the rifle. It is unusable. Go to Weapons room. It is closed. Go down the stairs and forward. Go left at the first archway. Wakefield Tower: See a rope that runs across from the window of Jewel House at Wakefield Tower and the ramparts. Holmes says to prevent him from using the rope. Scaffold site: Jump to Scaffold site. Kirkpatrick: Turn around and see another fallen warder. 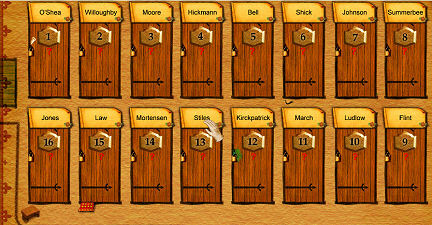 Check the sleeping warder and find out that his name is Kirkpatrick. Look close and use magnifying lens on Kirkpatrick's right hand. It has green paint. Storeroom: Walk towards the storeroom. Chief Warder Smith: See a hat on the lawn across the storeroom door. Click on the lawn and then click on the hat to find out that it is Chief Warder's hat. Note that there are drag marks on the path to the storeroom. Queen's House or Bloody Tower: Go around the corner to the end close to the dormitory blue door. Unnamed warder: Check the fallen warder. Talk to the warder completely and learn that Chief Warder went with the doctor to the storeroom. Smith and the cook have keys to storeroom. Fatty Johnson has a duplicate that he stole. Take the letter from R. Moore to Sarah from the table at first cubicle. Take the handbill about 2 hot air balloons. Go to the second cubicle and see roller skates on the open trunk at bottom of bed. The uniform on the bed is small. Take the lampshade that has a funny shape. Take the key to the cloakroom from the table. The bed in the third cubicle is dusty and unoccupied for some time. Take the book about Charges and Calibers of Cannons from the desk at the end of the room. Cloakroom: Use the key taken from dormitory to the door beside the dormitory. Enter and check the bulletin board. Take the guard's rotation. Right click and see a map-puzzle to determine which warder goes with which locker. Right click to get out of the map of the cloakroom. Clues from cloakroom: Go around and check the cloakroom. #1 - See that the locker has a note from Warder Schick to the Sergeant. He is 2 lockers away from Summerbee and that they are not on the same shift. Bell's locker is close to the locker of Schick. #1 is the Sergeant's. Meanwhile: The 3 watchers at Big Ben are getting on each others nerves. #6 - Look on the floor in front of the locker. Use magnifying lens to see freshly combed mustache hair. So this locker is Schick's, the warder at the gate. #12 - See that there is green paint on the locker door. So this must be Kirkpatrick's, the warder by Scaffold site. #15 - See a Scottish plaid sticking out of locker door 15. #16 - See a step stool in front of #16. The warder possibly is short and needs help reaching the high parts. Go back and talk to the guard lying at the corner. He finally falls asleep. Johnson's locker is in the rear from his locker. His locker is framed by Bell and the new warder. Willoughby's locker is closer to entrance. Dirty Flint is at rear of the room. R. Moore is the new guy. His locker is then close to the sleeping guard outside the dormitory. Moore rotates with Law, the only Scotsman in the group. #15 is Law's. March's and Ludlow's lockers are close together. Jones is the short one. #16 is Jones'. The Viking's locker is across Moore's. Mortensen's locker is across Moore's. O'Shea is the sergeant. His locker is #1. 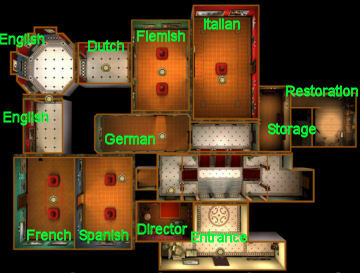 Locker Puzzle: Open the cloakroom map. Click-hold-drop a name tag and place it on the tag above the locker. From above clues, place the name tags: O'Shea is #1, Schick is #6, Kirkpatrick is #12, Law is #15 and Jones is #16. Sleeping guard is framed by Moore and Bell. The lockers have to be 3 in a row.. Willoughby is closer to entrance than sleeping guard. So, place Willoughby as #2, Moore is #3 with an available locker across him, Hickman the sleeping guard is #4 and Bell is #5. The only locker available across Moore should be Mortensen's #14. Summerbee is 2 lockers away from Schick; so place him in #8. March and Ludlow are together but before Stinky Flint who should be #9. March is ahead of Ludlow because he is protective of Ludlow. March is #11 and Ludlow is #12. Johnson's locker is rear of Kirkpatrick so place him at #7. 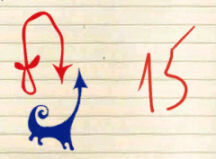 This leaves #13 as Stiles'. Blow up the locker of Johnson to open it. Cook's apartment: Go to the cook's apartment left of the Storeroom. Take small cake mould and nutcracker from the table. Take the string from the chair. Take the waxed doily from table right of fireplace. Johnson's locker: Go back to the cloakroom and locker #7 of Johnson's. In inventory, combine nutcracker and cartridges to get gunpowder. Combine gunpowder and string to get a bomb. Place bomb on locker #7's padlock. Use matches on padlock covered by bomb. Open locker and take the key to the storeroom. Take the haggis also. Storeroom: Go to the storeroom and use the key on the door. Go to the locked cold room. Chief Warder Smith is unconscious inside the cold room. Take the bucket of water left of door. Use the bucket of water on Smith. The hit on the head got him unconscious; he is not drugged like the others. Learn that the rest of the warders got sick because of the tomatoes (remember the drops of tomatoes on the shelf) and they were treated with injection by the doctor. Quiz: What clue does Dr. Paul Sernine's calling card reveal? Type in Arsene Lupin. Click on check mark. Get a 4 oz flask and the key to the weapons room. Weapons room: Jump to Bloody Tower. Go forward and down the stairs. Turn right and forward under the archway. Go right and climb the first stairs on the wall. Enter the door at end of left wall. Go to the door of Jewel House and hear Lupin working inside. Go down the steps and check on the sleeping guard, Summerbee. Take the key beside Summerbee. Go back to weapons room and to the worktable. Use the key taken from the warder on the locked box. Take the screwdriver and the file. Take the oil flask and dish from the table also. Take the helmet stand from the middle suit of armor by the wall. Go to left side of fireplace and pick up some small dry pieces of wood. Go to the cannon at the back wall. Look at the cannon to find out that the interior diameter of the cannon is 2.5 inches. Give the file to Smith. Smith says that to enter the locked Jewel House will take a cannon. The munitions are in the armoury at White Tower. Holmes asks for the scarf. Lupin's retreat is the rope spanned across the road from the rampart to the window of the Wakefield Tower. Hot air balloon: Remember the handbill that shows the 2 balloons tied together. Let's make one. In inventory, combine helmet stand with haggis to get hot air balloon. Combine lampshade with waxed doily to get another hot air balloon. Then combine dish with string to get bowl with string. Combine cake mould with string to get cake mould with a string. Combine bowl with string with the hot air balloon made from lampshade to get hot air balloon with basket. Combine cake mould with a string with hot air balloon made from haggis to get hot air balloon with basket. Place small pieces of wood on each of the hot air balloon with basket to get 2 hot air balloons with splint. Use the oil on each of the 2 hot air balloon with splint to get 2 hot air balloons ready to use. Use scarf on each of the 2 hot air balloon ready to use to get 2 hot air balloons with a scarf. Combine the 2 hot air balloon with a scarf to get hot air balloons attached by a scarf. Jump to Tower Green. Turn around and exit through the archway. Go right and see the rope strung across the path. Use the hot air balloons attached by a scarf on the rope. The rope is weakened by the fire carried by the hot air balloons. White Tower arsenal: Jump to White Tower. Climb the stairs and talk to Chief Warder Smith. But what are they doing there? Meanwhile: Watch what is happening to the 3 watchers at Big Ben. Back at the arsenal, go to the wall under the windows. Take the lid of the crate. Go to the first table and take the 0.44 pt billycan and the 2.8 oz glass. Go the back wall. Look at each stack of cannonballs. Take a 2.5 diameter cannonball. It is the second from right stack. Go left and take a small barrel of powder from the powder barrels at the corner left of the back door. Dormitory: Jump to Queen's House. Enter the dormitory. Go to the open chest. Use the screwdriver on the roller skates to get wheels and screw. Weapons room: Jump to weapons room. Move the cannon: Go to the cannon at the back wall. Take the cannon cartridge bag right of the cannon. Click on the middle of the cannon. Holmes will say it needs to be moved. Then in inventory, combine the wheels and screw from the skates on the lid of the crate to get board on wheels. Use board on wheels on middle of cannon. Stand at the back of the wheeled cannon and push the cannon until the bottom of the stairs. Use the screwdriver on the 2 hinges of the door beside the sleeping warder. Climb up to middle of the stairs and then click to place the door on the stairs. Elementary! Push the cannon up the stairs. There, now I am in firing position. In documents, read the Correspondence of Charges and Calibres for Cannons. It states that 2.5 calibres need 478 cc of charge. Charge puzzle: Click the cannon to get the charge puzzle. See the 3 collected receptacles: 250 cc, 80 cc and 12 cc. The bag to hold the measured powder is at left and the powder barrel is at right. The funnel on top of the barrel is for pouring wrongly measured powder. Take a container, click it on the tap-cork of powder barrel and it will get filled. Use the powder filled container on the bag at left. Measure a total of 478 cc of powder into the bag. A solution is to place 19 measures of 12 cc and 1 of 250 cc. When the bag is filled correctly, Holmes will say Elementary! A.Add 250cc of powder to bag. B. Fill up 250cc container again. Pour from 250cc container into 80cc container. Pour again from 250cc container into 80cc container. Pour remaining 90cc of powder into bag. Repeat B (*no need to empty 80cc container the 4th time). C. Add 4 lots of 12cc to bag. Use the full cannon cartridge bag on the cannon. Use the 2.5 diameter cannonball on the cannon. Use the matches on the cannon. Watch the finale of the chess match! What do you say, Watson?